TMIC Participates in DHS Procurement Program Trade Fair | The Market Intelligence Co. The Market Intelligence Co. has been a member of the Department of Human Services preferred market research panel for over 5 years now and welcomed the opportunity of participating in a recent Trade Fair organised by DHS in Canberra on Wednesday 13 June 2018. The Trade Fair was attended by DHS and participating agency staff (who piggy-back on the DHS’s preferred market research panel). This gave us an opportunity to engage with buyers of market research to talk about our unique offering which included a demonstration of our proprietary eReporting tool, the Segmenter®. 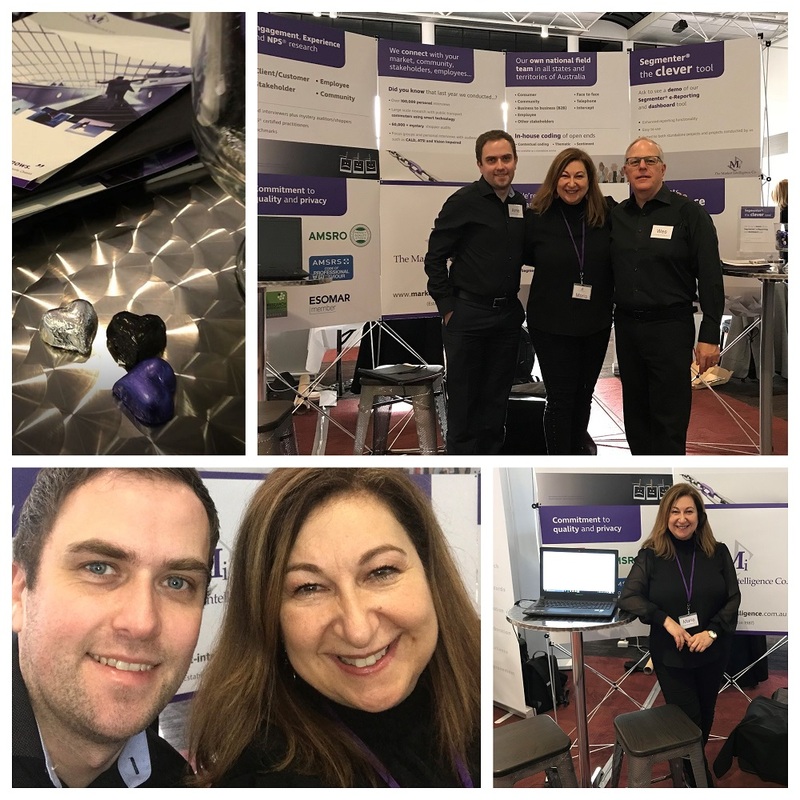 We certainly attracted a fair amount of positive attention standing out from the rest of the exhibitors with our modern and professional looking stand opting for an innovative backdrop instead of the customary tables used by other exhibitors. The backdrop became both the medium and the message combined to effectively communicate our key points of differences (niche and difficult to reach audiences, real time data, hybrid qual + quant, in-house programming & coding, own national team of interviewers & mystery shoppers, big data processing and e-Reporting), assisted a little by some yummy hand-crafted chocolates! This resulted in many productive chats, which made flying the TMIC flag very worthwhile.